The continuously polishing system provides up to 2 years performance, avoiding paint build up. The ever smoothing surface ensures that drag is always minimised whilst maintaining optimum biocide release including in stationary periods. 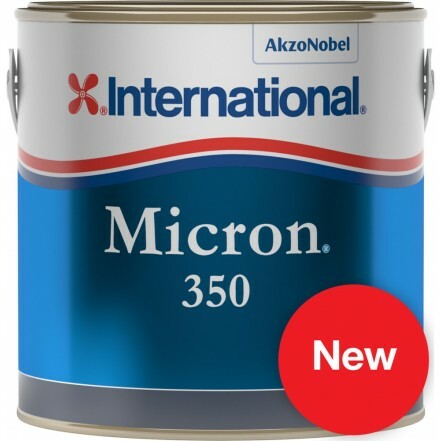 This product replaces the popular International Micron Extra 2 Antifoul. Choose a colour from Dover White, Black, Navy, Red and Blue. Premium multi season antifouling for the harshest fouling areas. Up to24 months protection from one application. Pack sizes: 750 ml, 2.5 Lt.
Substrates: GRP/FRP, Lead, Steel, Wood. Suitable for high speed craft: No. Suitable for high fouling areas: Outstanding.